This is a very cozy and comfortable 2 bedroom, 2 bath upper floor property with green accents and a peek of the lake through the trees. The Mccloud complex is considered upscale with manicured lawns and a community hot tub. Most have a one car garage and pleasant decks to sit out on in the summer and BBQ. They are all within a few blocks of Incline Beach and the Hyatt Regency casino. The seventh night is free for most dates so be sure to ask! Very clean and spacious. Very short walk to beach and restaurants. Check out time is too early10 AM! We spent two days at the condo. Checking in and out was fast and simple. The condo was clean and looked well maintained. 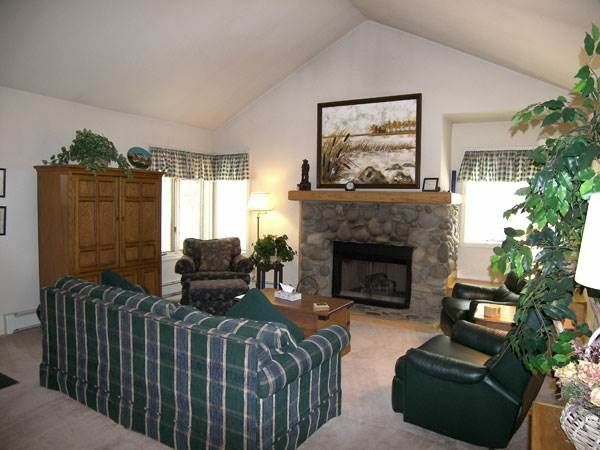 It is located walking distance to the lake and the beach.